While uncertain what effects lower crude oil prices will have on macro-economics globally, except that consumers in the U.S. and non-oil-producing nations will have more disposable cash, a report by Bloomberg BusinessWeek notes that housing starts across the U.S. in 2015 are projected to grow to 1.2 million from less than 1 million in 2014, indicative of a slow, but positive recovery from a years-long, new-home-sale recession beginning in late-2005; while the latest round of quantitative easing in the Euro zone should stimulate lending to small businesses, consumer spending to also help the housing market. 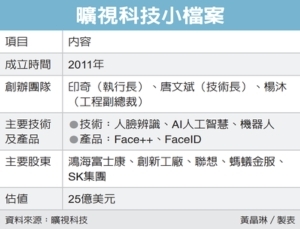 Any uptick in home buying, home construction and home remodeling in the U.S. and Europe will inevitably help jolt supply chains in Taiwanese furniture parts and accessories production, whose members are well prepared for market recovery mostly due to steady work on R&D to develop new, functional furnishings to enhance product value. Despite the recent plunging oil prices hammering America's fast-growing shale oil industry, the view across home-builders stateside is generally optimistic towards the country's new-home market, including D.R. Horton, U.S.'s largest homebuilder, which reported last November its intention to resume reinvestment in the business, rather than distributing profits to shareholders as it has been done in response to a bearish realty market in recent years, which bodes well for Taiwanese suppliers of furniture and parts. While Europe's economic recovery remains precarious, some market observers believe the latest QE by ECB (the European Central Bank) will attract more investment to the real estate market across the EU bloc, coupled with Switzerland's scrapping its franc-euro exchange rate cap to hedge risks brought by the QE that puts an additional 1 trillion euro at least on ECB's balance sheet. To find out first-hand what some Taiwanese furniture parts and accessories manufacturers are doing in terms of product launches this year, to be ready to explore business opportunities amid recovery of the realty market worldwide, four local suppliers were interviewed to talk about inspiring results from their R&D programs. Axuru's USB-integrated Power StripTapping the potentially lucrative segment of integration of 3C (computer, communication and consumer electronic) products and smart-home appliances, Axuru Technology Co., Ltd., a burgeoning manufacturer of innovative power strip and desk sockets, launches its newest AC series desktop power strip with NEMA (National Electrical Manufacturers Association of the U.S.A.) 5-15 receptacles and USB outlets. 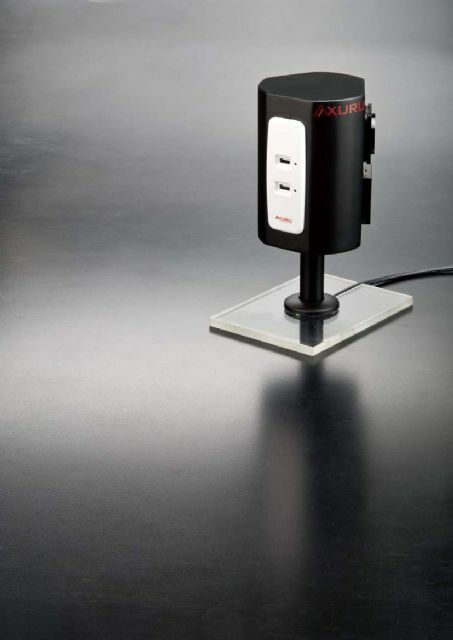 Axuru’s USB-integrated, NEMA 5-15 desktop power strip is perfect for charging iPad, iPhone safely and reliably. Shawn Shih, general manager, said the sockets are recommended in IEC standard 60906-2 for 15A at 125V each, with input and output of AC100V-240V and 2.1A, respectively, with the power strip certified by authorities in Japan and the U.S., where NEMA sets the main plug and socket standards. "To achieve unquestionable safety and stability, we were inspired by sophisticated circuit designs in iPhone and iPad chargers to build into the power strip optimally engineered circuitry composed of 60-plus parts, to have passed EMI (electromagnetic interference) tests to be perfect for charging such devices. Despite relatively high cost, we insist on uncompromising quality and safety, and the specifications of all power transformers inside the power strip meet that of iPad," said Shih. Another feature of the power strip, Shih added, is the integrated, finely finished exterior without screws exposed to achieve a design perfectly-suited for use in modular furniture. Growth PotentialAlthough USB-integrated power strips are still unpopular for now mostly due to comparatively high unit price, such products have shown considerable growth potential for broad applications, said Shih. For instance, a local, large supplier of hand-tool workstations has adopted Axuru's USB-incorporated power strip in its roller cabinet to enhance value, and may bring it to market in the near future. "Wherever 3C products are used, USB chargers and sockets are needed; be it in homes, hotels and office buildings," said Shih. A niche market exists obviously for some Taiwanese office and modular furniture manufacturers have shown intense interest in Axuru's desktop power strips, primarily due to its capacity to enhance value of furniture, especially significant when growing Taiwan's furniture industry is beset by growing underselling rivalry from less-developed makers in China and southeast Asia. Only Supplier in Taiwan"Axuru is the only supplier in Taiwan of power strips that integrate ordinary sockets and USB ports, as well as one of a handful worldwide. We came up with the idea of developing such products because of the growing popularity of smartphones among consumers, a trend that inevitably puts USB outlets into furniture parts and accessories," said Shih. Another factor motivating Shih to work on “integration” of power outlets is the surprising success of his company's “Charge Station,” a rotatable, easy-to-carry, hexagonal stand with various socket standards, and housed in transparent, colored acrylic for not just durability but visual appeal. 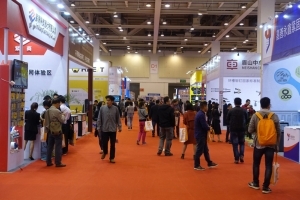 Even if nothing more than a sample of Shih's realization of the idea to integrate power outlets displayed at a trade fair a few years ago, it still received high praise among buyers and visitors to provide Shih a good reason to believe in the potential profitability of the product. 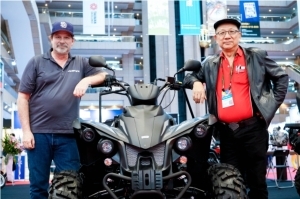 Axuru’s Charge Station proved to be success at debut in a trade fair a few years ago. 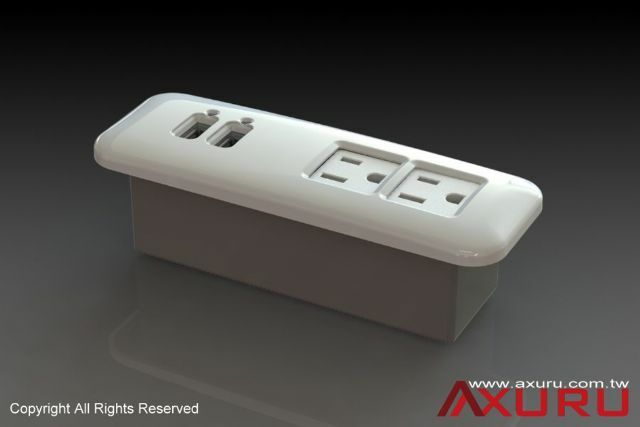 Despite being only five years old, Axuru is an R&D-driven supplier of power strips and sockets, established by young people with ample knowledge in electrical wiring and devices. With innovative concepts, Axuru focuses on developing truly functional, useful power strips that peak buyer interest and aid local furniture makers to add value to product, said Shih, whose progressive vibe, underpinned by its motto of “Think Positive, Work Smart,” looks set to take the company to set trends throughout Taiwan's furniture industry with its USB-integrated desktop power strips. In Cheng's Knob-free Stool Footrest RingKnowing well that value of office chair parts can be enhanced through structural engineering for better utility and material efficiency, In Cheng Industry Ltd., a seasoned maker of multipurpose furniture, cabinets, display stands, and office chair bases and legs, has just developed an innovative stool footrest ring, highlighted with knob-free height adjustment. 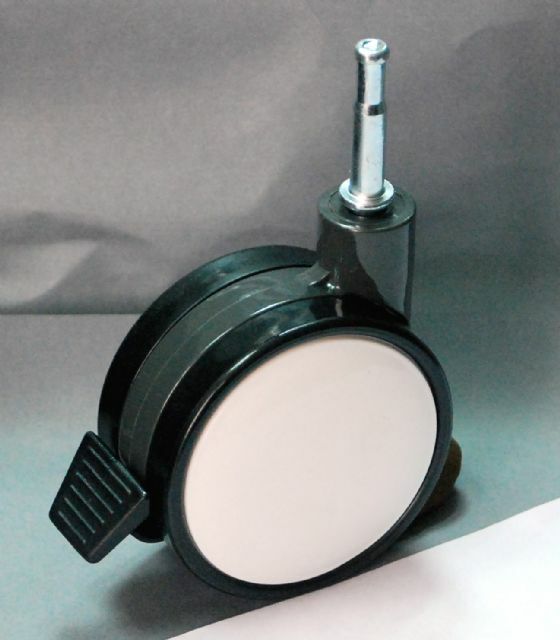 The inventor of the stool footrest ring, Jacky Cheng, In Cheng's owner, commented that he developed the product as an improvement from conventional knob-operated models, which tend to loosen and dislodge after extended use, mainly because single-knob height adjustment resulting in uneven pressure distribution on the shaft. In Cheng's knob-free height adjustment function is achieved by an engineered structure built into the center of the ring, composed of three durable sheets of TPR with specially designed, aligned angles to firmly mount the ring onto the shaft, coupled with two larger ones of nylon-lead composite to enclose the smaller ones for added structural strength. The structural design, patented in Taiwan and China, enables easy manual height adjustment of the ring by swiveling upward or downward along the shaft with improved stability achieved by even distribution of pressure. 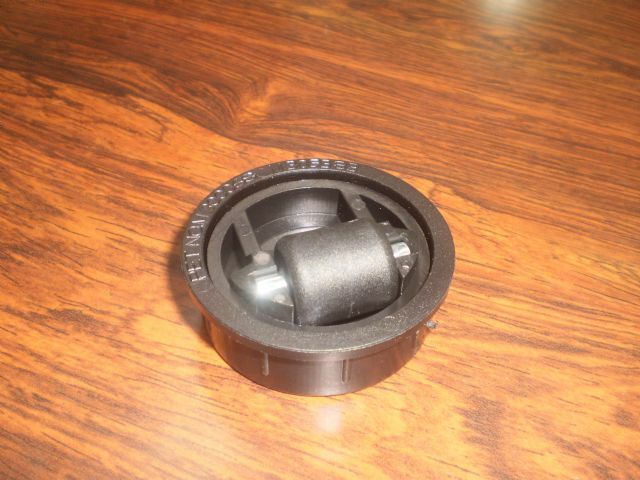 Moreover, compared to traditional footrest rings, which employ metal casting of knob shafts and joints to incur higher production cost and weight, In Cheng's footrest ring is completely of injection molded plastic for lower material cost, higher yield rates, lighter weight and more competitive prices. "High material efficiency and low unit price are particularly attractive to furniture makers for offering higher margins. From another viewpoint, the cost-efficient, durable footrest ring also provides consumers with more functional alternative to conventional models," said Cheng. 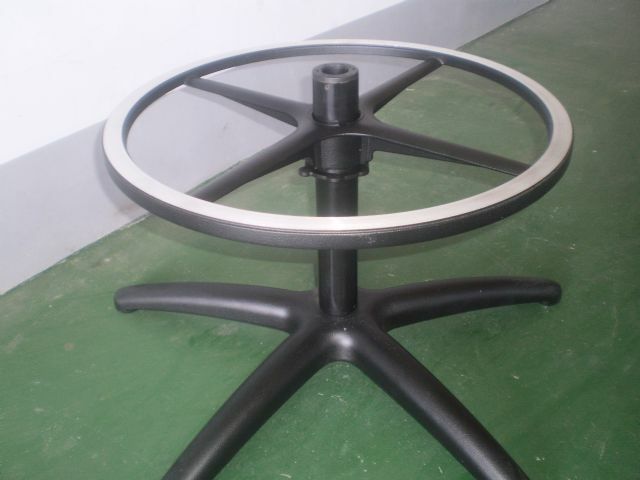 In Cheng’s stool footrest ring features knob-free height adjustment, material efficiency, lightweight and popular price. Experiences in OEM and Material EngineeringCheng stressed that the company has successfully invented the knob-free footrest ring, patent pending in the U.S. and the U.K., mostly due to its rich experience in OEM (original equipment manufacturing) with foreign partners, and material engineering. 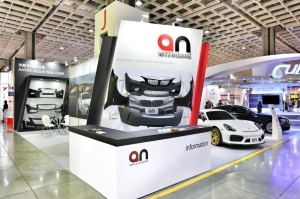 Established in 1998 in Taichung City, central Taiwan, In Cheng started out by making display stands, and later was contracted by a large American customer on OEM basis, which gradually sharpened its manufacturing and materials engineering capabilities. 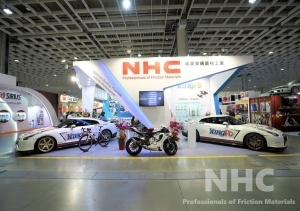 Through learning by doing, In Cheng is adept at applying various techniques in production depending on material, as well as developing material composites to enhance product functionality and value, said Cheng. Amid Taiwan's continually sapped competitiveness in the furniture industry, Cheng floated the idea during this interview that it is time for operators to tap teamwork to achieve vertical integration throughout the industry, so that Taiwanese suppliers can better compete against underselling rivals in the global market. To that end, the industry veteran said, smaller companies should focus on sharpening core competencies and R&D ability to raise added-value in parts and components for larger local firms, while furniture makers should share business opportunities and build long-term partnerships with contract suppliers; meanwhile In Cheng will be headed towards contributing to sustainable development of the industry. In Cheng is a veteran maker of OA furniture parts, cabinets and display stands in Taichung, central Taiwan. Brilliant Lake's Reinforced Plastic GlideFounded in 1989 in Taichung City, Brilliant Lake Industry Co., Ltd., a seasoned maker of plastic furniture accessories, launches its reinforced plastic glide. The glide, dubbed BL-619-1, has been developed independently to meet custom need for use in TV stands. M.H. Hsu, vice chairman, noted that the glide has improved reinforced structure to enable 360-degree rotation and carry loads over 300 kilograms. With 21 high-quality, high-precision steel bearings inside the roller, the glide features excellent mobility, also being patented in Taiwan, Japan and China. Brilliant Lake's reinforced glide has great mobility and 300kg-plus load capacity. "Brilliant Lake turns out 300,000-400,000 units of the glide a month, which are applicable in not just TV cabinets, but also storage racks, metal-tube furniture and wooden furniture as a versatile item, and are proven popular with Japanese customers. We also provide customized models to meet as ordered," said Hsu. Product DiversificationBacked by over 20 years of experience in OEM, Huang confirmed that Brilliant Lake, a top-3 plastic furniture parts and accessories makers by shipment in Taiwan, is moving toward product diversification by venturing into making plastic furniture, to keep growth momentum in the line. 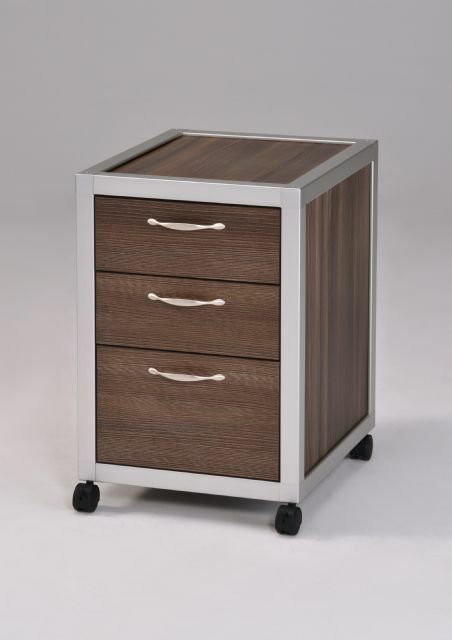 The company's furniture parts and accessories include casters, plastic holders, tube stoppers and joints, knobs, glides, foot pads, oblique mounts, washers, tube connectors, headboard decorations, threaded metal caps and plastic and metal parts, 95% of which exported to Europe, America and Northeast Asia. Drawing on its know-how of plastic injection molding and material properties, Huang reported that his company is developing a shoe rack, to be built with reinforced solid plastic tubing and plates, as well as the abovementioned glides, to be durable, mobile and resistant to oxidation. 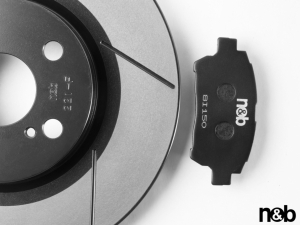 "The new product will target end-users in the U.S., Europe and Southeast Asia, and set a milestone in our company history for transitioning from a parts maker to a furniture developer and supplier," said the vice chairman. For the next stage of growth, Huang also revealed that his company will soon kick off expansion and upgrade of its factory in Taichung City within three years, to improve production efficiency and boost output. After seeing steady, robust growth in the past few years, during which many export orders from foreign buyers for furniture and parts have returned to Taiwan from China, the maker will continue working hard on R&D, quality and production skills, with an aim to transform into an ODM (original design manufacturer) in the short term. Brilliant Lake is a top-3 plastic furniture parts and accessories supplier by shipment in Taiwan’s central region. Chieh Ling's Diversified LineupAlso adopting product diversification to sustain growth, Chieh Ling Screws Enterprise Co., Ltd., established in 1989 in Changhua County, central Taiwan, as a supplier of screws, bolts and other fasteners mainly for furniture, is adding more new products to broaden its lineup. Among the firm's new products, the folding wrench set and ball point Allen wrench sets have been increasingly adopted by customers as accessory included with K/D furniture packages, reported the president, J.C. Lin, primarily because those product sets consist of Allen wrenches in diverse specifications and sizes coupled with high quality and durability, to help consumers assemble and dissemble furniture easily. 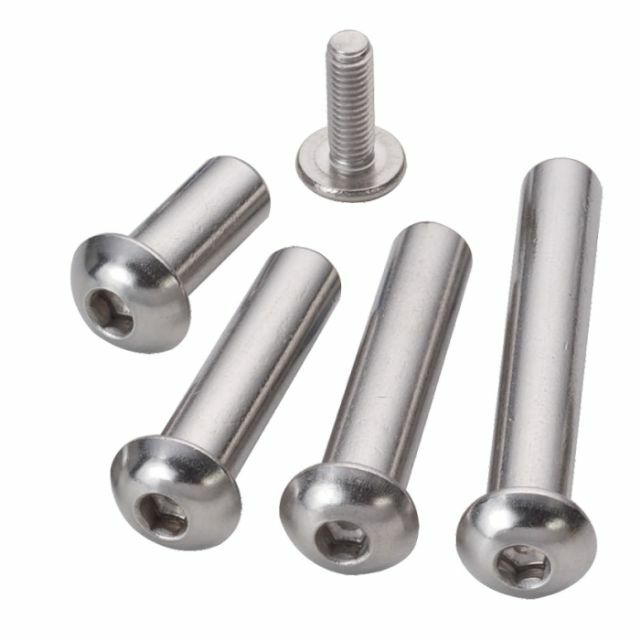 In addition to wrench keys, Lin said that the company's growth has also been driven by supplying special furniture screws to Italy, replacement screws and bolts for repair and maintenance of U-bike (a public bicycle rental system established by Taipei City Hall), and machinery fasteners. 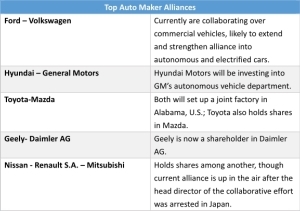 The maker chalked up a 10%-plus increase in turnover in 2014, mostly due to efforts on product diversification. 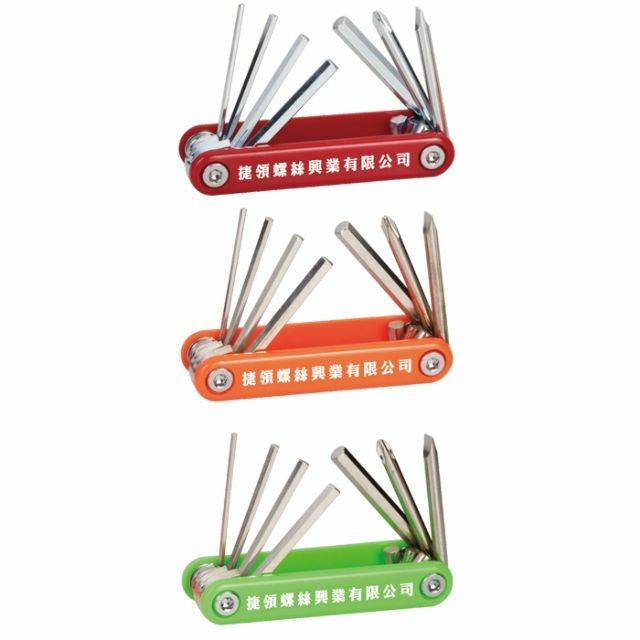 Chieh Ling’s folding wrench set was popular at 3rd Taiwan International Fastener Show in 2014. Experienced MakerWith more than 30 years of practice and experience in OEM, Chieh Ling is one of only a few Taiwanese furniture fastener makers engaged in special screw and washer assemblies in Taiwan's central region, turning out 400 to 500 tonnes of fasteners a month for mostly higher-end furniture. 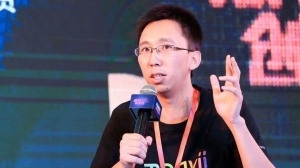 Knowing fully that good quality is hinged on sound manufacturing capability, which can be achieved through R&D, Chien Ling insists that all its experienced managers and directors are involved in R&D, to come up with optimal manufacturing processes that better assure reliable quality and punctual delivery. 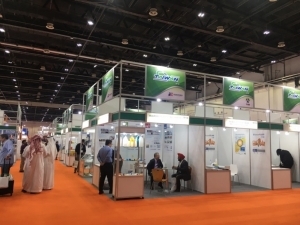 Such total participation by directors in R&D has enabled the company to develop effective, one-step extrusion forming processes, while its in-house production is almost totally automated. 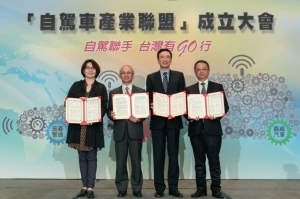 "We are proud of our production capability, which is built on not just consistent R&D but also allows the company to operate efficiently with minimum manpower, and this is key to sustainable development of smaller Taiwanese manufacturers especially amid labor shortage and rising wages, said Lin. 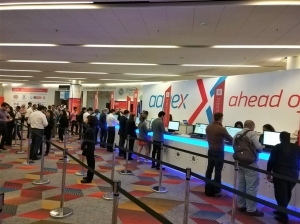 Chieh Ling to showcase full line of furniture screws at National Hardware Show 2015, held May 5-7 in Las Vegas. The ISO-9001-certified manufacturer supplies a wide range of products as hex keys, stainless steel hex head cap screws, security screws, button head socket cap screws, binder posts, screw sets and hex nuts, mainly going to Southeast Asia, Europe and the U.S.
"To enhance our global exposure, Chieh Ling will take part in more global trade fairs this year, including the National Hardware Show held May in Las Vegas. 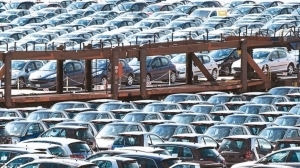 Plus, we are scheduled to complete construction of a new factory within three years, where advanced equipment will be employed to further raise self-manufactured content and overall output rates," said Lin.